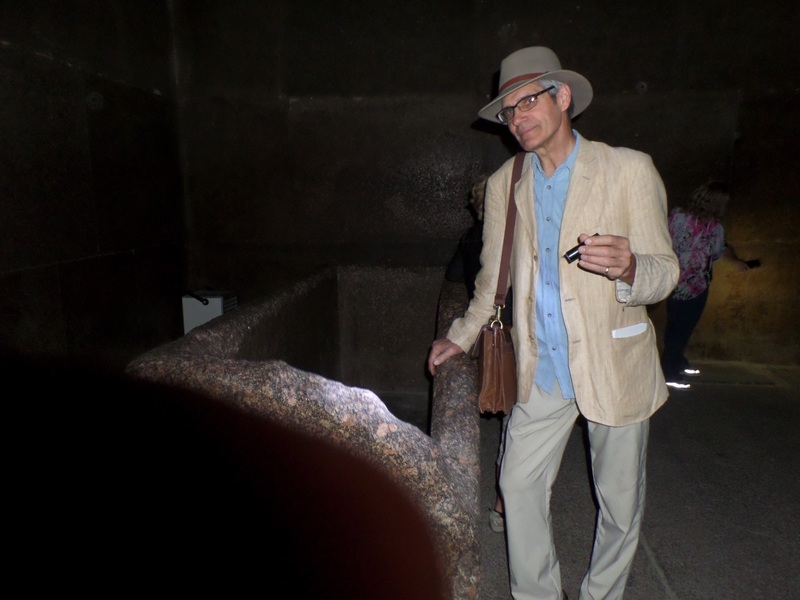 As AIP Director I have been on several study tours of the pyramids in Egypt. 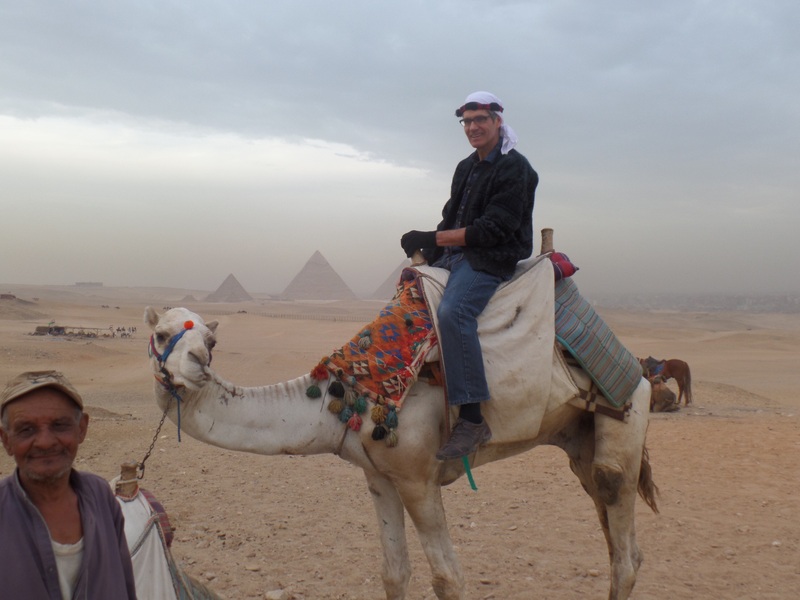 It is certainly exciting to be in a foreign country, exploring new sites, riding on camels and trying new food. And you can certainly see things in person that will never look the same as they do on a page in a book. I remember the night before I was to go into the King’s Chamber of the Great Pyramid for the first time, I could hardly sleep in my room at the Mena House. I was within sight of that grand monument which I had read about for decades, but now I was soon to enter it, and its grandest room, the King’s Chamber. Morning couldn’t come soon enough. And when that moment finally came, and I was inside the famous corridors of the Pyramid, exploring its mysterious chambers, I felt like I had been there before. Because I had been there before, through so many photos and images of the mighty monument I had seen in the past. My explorations inside of the Great Pyramid were limited to one hour. (The picture here is me at the empty coffer, the only furnishing in the King’s Chamber.) It is very hard to get the clearance that I received to be able to spend that hour. It was thrilling, and over quickly! And yet you can spend hours, days, months and years in the Pyramid through the pages of the thousands of books which have been written about it. You can explore all its chambers, learn of their measurements, browse their history, get an erudite guide and never worry about your “hour” coming to an end! So if your goal is to really get to know the Great Pyramid, and to try to muscle closer to the secrets of this Silent Sage, don’t book a tour to Egypt. Book a book. Now the problem you have won’t be finding the money for a tour, and finding the best tour groups that go to the pyramids, your problem will be, “Which books do I read?” And I am afraid that for this search, there are no shortcuts or easy choices. I’ll give you a bit of a guide soon, but first, let’s look at “What’s so great about the Great Pyramid?”. ← What’s so great about the Great Pyramid?